As Mayor Tom Menino made his final journey to Most Precious Blood Church on Maple St. in his hometown of Hyde Park, the contrast between the New Boston and the Old Boston got another 15 minutes of fame. The Urban Mechanic–an Old Boston guy if ever there was one–straddled both. So well in fact that he earned enough political capital to reign for 20 years. Were it not for health challenges he may have won another term. Such was Tommy’s gift. 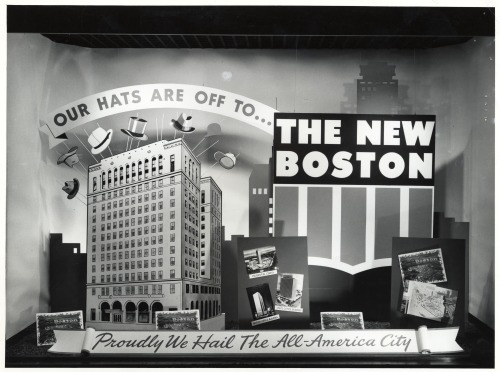 The New Boston is now new. And Old Boston is still here. That dichotomy has become evident as reflections abound about the meaning of Tom Menino’s Mayoral service. A quick primer. 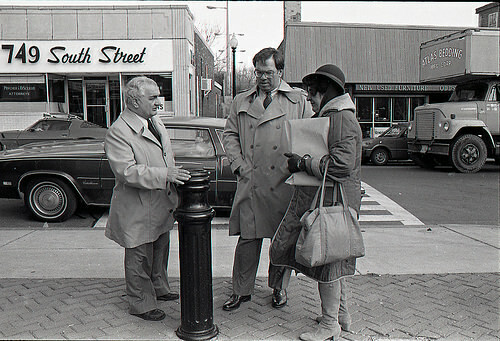 New Boston was conceived back in the 50s and 60s as Boston became a property tax swamp which drained the city of hundreds of thousands of residents from the city’s population. John Collins won an unexpected victory in 1959, and by the early 60s was cutting taxes and services. 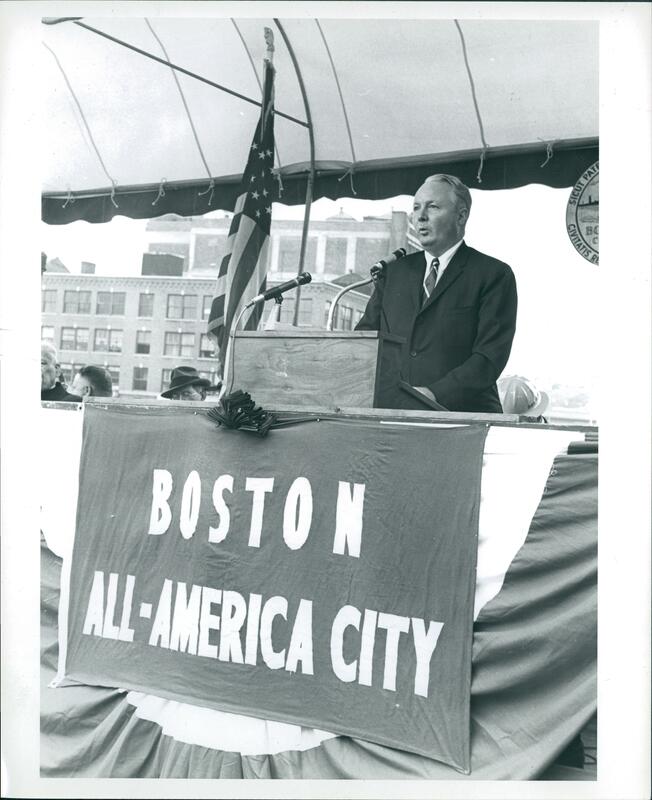 He brought in Ed Logue to front the controversial Boston Redevelopment Authority and focused on Downtown Development. Think Scollay Square, West End, Allston, Roxbury, South End. But John Collins ignored the neighborhoods and that was his downfall. Find our new photo book here: Dirty Old Boston. Please “like” Dirty Old Boston on Facebook. Jim I bought the book and think it’s great. I’ve always loved the pics on FB. I hate to be “that guy” but are you sure those are Baracuta jackets on page 189 of the book? The four girls.